Let's face it, Mums are the best aren’t they? On Mother’s Day, we get to tell our mums, grandmas and any other influential mother figures in our lives, just how much we love and appreciate them by showering them with beautiful gifts. I must admit, since becoming a Mum to my beautiful little lady this is a celebration that I look forward to every year and now she's become quite the artist it's always interesting to see what masterpiece she has created for me. Usually for Mother's day we spend time exploring adventures as a family, with a visit to both our Mum's armed with cards, flowers and gifts. So today seeing as Mother's Day is just around the corner I thought that I would share some picks for Mother's Day that are just perfect. Beauty. Now if I am honest we could be here for hours. But we've all got places to go. But here are some of my beauty picks. 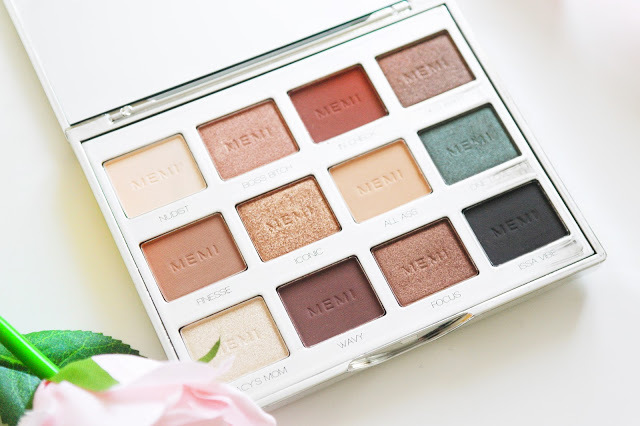 Something that I have been really enjoying at the moment is this oh so cute palette from MEMI Makeup. Anyone will be able to unleash their inner millennial with this amazing collection of 12 pigment rich matte and shimmer finish shadows. This palette is by far my favourite as it offers a range of surprising different range of neutral hues that you can mix and match to create some beautiful looks. Benefit Black 'BADgal' Bang Volumising Mascara is incredible and would be the perfect gift for Valentine's. The formula is jet black so it makes your lashes pop. It’s super lightweight, yet the volume and length it gives are the best I’ve ever seen! The wand is beautiful, so many bristles, nice and flexible and it tapers so I can get every single lash. My lashes have never looked so good! The Olverum Bath Oil is a unique and luxurious aromatic blend of essential oils. With just a few drops in your bath, these carefully chosen extracts combine to help ease stress and relax tension in both mind and body, bringing you back to your complete and natural self. This highly concentrated, therapeutic bath oil contains 10 pure essential oils, carefully blended to work together. It is a very effective way to naturally relieve stress and to help you achieve a good nights’ sleep. Next up we have the The Hero Project® which is an exciting new British concept that mobilizes people power and great science, on a mission to rid your clutter in those beauty draws and replace them with great beauty products that you love. And so I want to share a new hand cream with you that would be perfect to give to your Mum for Mother's Day. Hand Rehab® Diamond Dusted Hand & Nail Therapy with SPF 20 helps you wave goodbye to dry hands with a dazzling sprinkle of diamond dust. This precious ingredient has been included to strengthen your hands and nails. Button and Wilde are a company that make a wide range of bath and body products that can even be personalised into make a special and personal gift for someone. Button & Wilde have some of the most fragrant combinations that are sure to be pleasing for anyone. I was kindly gifted some personalised products from the Wild Fig & Grape range which smell amazing. The warm and exotic fragrance, with sweet fruit perfectly in balance with the deep earthiness of cedar wood and patchouli. Imagine exploring an undiscovered paradise island and eating the fresh fruit growing on the surrounding trees. Perfection. One of the best gifts that I have received as a mother was some beautiful perfume and this is something that I like to get my own mother and mother-in-law. Fragrances are something that a lot of mothers love receiving. Choosing a scent can be difficult at times, but it can be fuss-free if you know what she likes. Fragrance Direct has made it even easier for you with their thoughtful gift section, and this year they are running a campaign around gifting fragrances rather than flowers this Mother's Day, and I'm totally down with this. For me, anything with a floral and fruity scent is up my street, and so with a little help it was super easy to select a couple that would be perfect for me and the mums in our families. The one that stood out the most was one from Chloé in a 50ml bottle because it would last me a long time, certainly longer than flowers that's for sure. But I also like the fact that these are not too expensive as some indulgent perfumes can be. When it comes to being spoiled for Mother's Day there nothing quite like indulgence. Now I am not just talking about taking time out for a luxurious bubble bath, however perfect it may be I am actually talking about sweet treats, chocolates and pure indulgences. So why not let her know she's the best or thank her for all she does with Mother's Day chocolate gifts. Chocolate is the perfect way to say 'I love you', 'thank you' and everything in between. Something else that I did come across was a little different from the normal flowers, chocolate and perfumes. Jelly Belly’s newest flavour; Sparkling Wine! What’s important to say here, is it’s non-alcoholic and comes in a 42g petite bubbly bottle – perfect for a quick sweet indulgent. It is also perfect for party favours, especially wedding favours and baby showers too, so even the mum-to-be can enjoy a mini bottle of bubbly! What do you have planned for Mother's Day? 17 comments on "Gift Guide: Perfect Picks for Mother's Day"
My mummy loves perfume so that chloe number would be perfect for her!! Oh how awesome is the personalised one! Such a great gift idea! 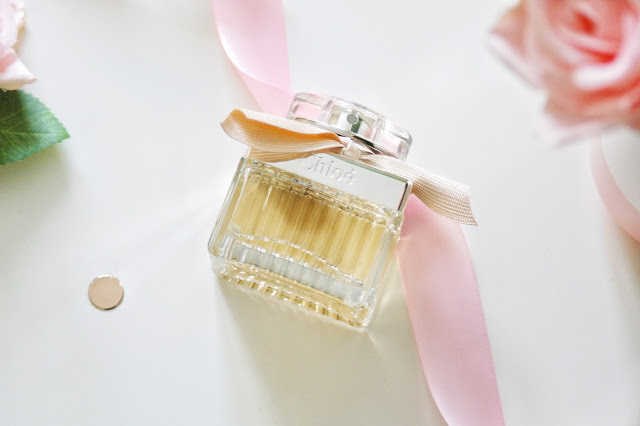 I love gifting my mum beauty pieces, and this little Chloe perfume is sooo adorable! Definitely have to look into it! So many lovely choices there. I hope you'd a lovely day with the family! Sorry to be late commenting about Mothers Day, but these gifts are great for women no matter when! I love the Memi make up you've reviewed before. One of these days I'll have to treat myself! The make up looks gorgeous. I love Chloe perfume, I wore it for a long time myself.